The majority of headaches are not worrisome, and while headaches can be especially burdensome, (particularly a migraine or cluster headache), they usually go away eventually with time and/or medication. The headache of a brain tumor though does not go away. It's constant (or becomes increasingly frequent) even when you are sleeping. It can also be accompanied by other alarming signs, like seizures and/or fainting. That being said, headache is sometimes the only symptom of a brain tumor. 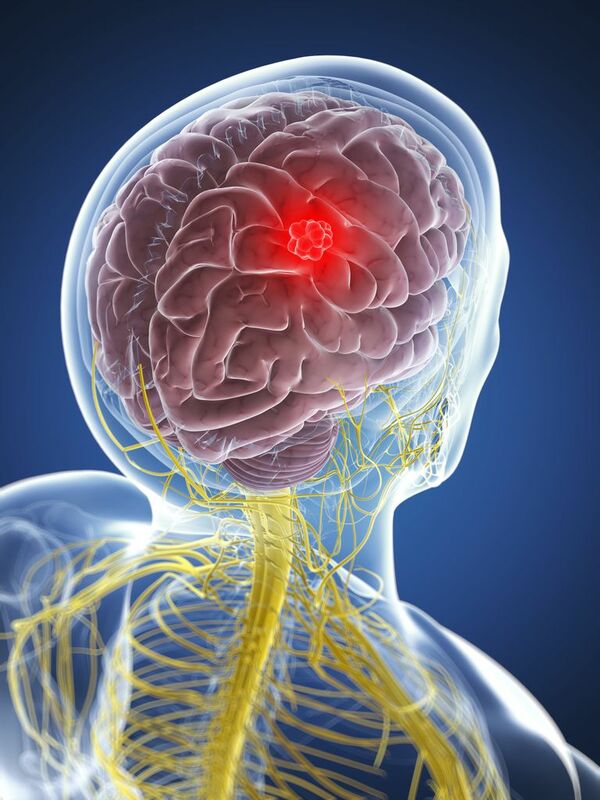 What is a Brain Tumor Headache? Headache is the worst symptom in about 50 percent of patients with a brain tumor. The pain of a brain tumor headache is typically dull, persistent, and worsens with the Valsalva maneuver (like when coughing or bearing down during a bowel movement). The headache often occurs or is worse on the same side as the tumor—but the headache can also be generalized, especially if it is due to increased intracranial pressure (ICP) or hydrocephalus. Hydrocephalus refers to excessive cerebrospinal fluid (CSF) in the brain. CSF is the normal fluid that surrounds and cushions your brain and spinal cord. If a tumor obstructs normal flow of this fluid, it causes a buildup, creating lots of pressure. As you can imagine, this pressure may cause various symptoms including pain, vomiting, seizures, and papilledema—a sign that doctors can see when performing an eye exam. Pain occurs in "attack-like episodes." A brain tumor that causes hydrocephalus and an accompanying headache will be seen on a CT or MRI of the brain. Surgical removal of the entire tumor or part of the tumor will allow the fluid buildup to decrease (it now has a place to go), and this should alleviate a hydrocephalus-induced headache. Most headaches are not brain tumors. But a persistent headache or one that follows a different pattern from your typical headache is a sign that you need to speak with your doctor. Also, on occasion a headache from a brain tumor can cause a sudden, explosive "thunderclap headache," which may even lead to a loss of consciousness—this requires emergent medical attention. Remember too, not all brain tumors even cause headaches. Other symptoms, like behavior changes or muscle weakness, may be the only clue. If you have any concerns, please speak with your healthcare provider. Campos S, Davey P, Hird A, Pressnail B, Bilbao J, Aviv RI, et al. Brain metastasis from an unknown primary, or primary brain tumour? A diagnostic dilemma. Curr Oncol. Jan 2009; 16(1): 62–66. National Institution of Neurological Disorders and Stroke. Hydrocephalus Fact Sheet. National Institution of Neurological Disorders and Stroke. NINDS Brain and Spinal Tumors Information Page. Wong ET, Wu JK. Clinical presentation and diagnosis of brain tumors. In: UpToDate, Basow DS (Ed), UpToDate, Waltham, MA, 2013.